Welcome to the 161th Inspire Me Tuesday, I am thrilled you are here, and I can't wait to show off some of the wonderful links from last week. Plus I have the most wonderful Frenchy/Farmhouse giveaway ever. 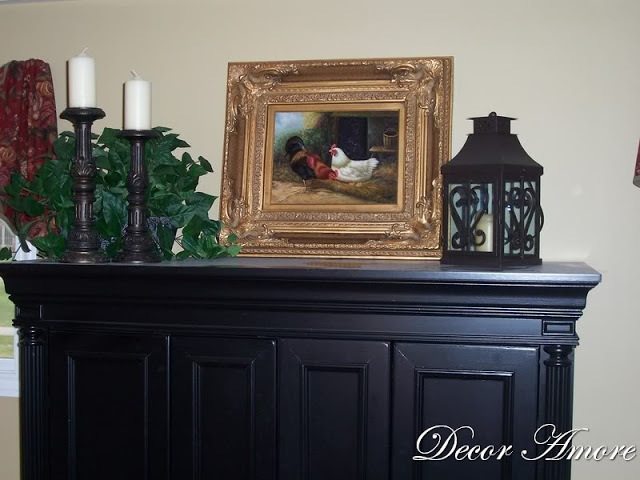 Kathleen @ Decor Amore: shared a post with some of her favorite vignettes. This rooster picture totally has me drooling all over the place. 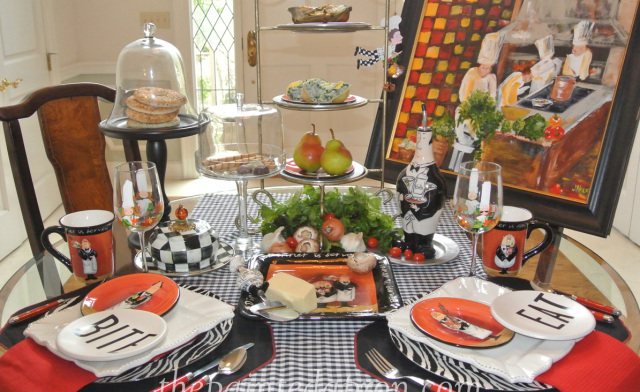 The Painted Apron designed this really fun table with her collection of "Snooty Waiters". I just love it. I love everything about this creative hutch that Shabby Love put together, and her butter pats, graters, scales and breadboards are all so beautifully displayed. I love the rustic with the elegant and The Fancy Shack finally fulfilled a dream when she found this wonderful barn door. You need to see the entire room. Fabulous. 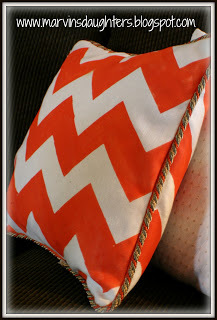 Marvin's Daughter made some gorgeous pillow slipcovers in a variety of fabrics to add color and texture to her room, plus she shared a fabulous tutorial. She is also a new blogger, so go by and say welcome. This pie looks too good to eat. Don't you love the way Happier Than A Pig In Mud cut out all the strawberry and flower shapes for the crust. Fabulous. Have you ever seen anything so stunning. 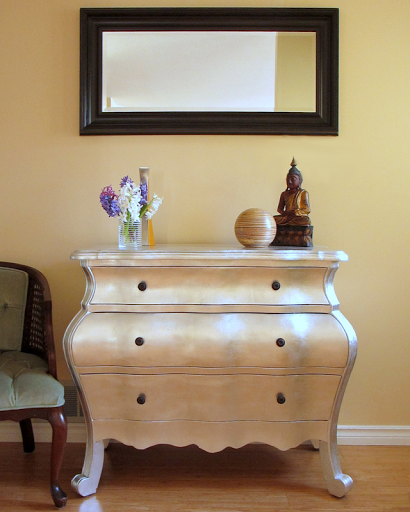 Art For Your Walls made over this wonderful chest with a silver leaf finish. She gives a fabulous tutorial, plus she is a brand new blogger too. By all means go see how she did it and say hello. Ok, now for the good part, the Frenchy/Farmhouse Giveaway. 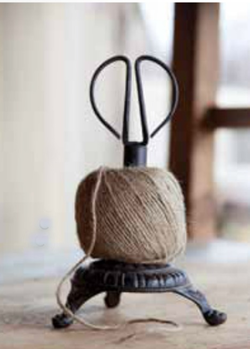 Barb from The Every Day Home has the most amazing online store - - Farmhouse Decor - - and she is offering one of my followers this unique and fabulous Cast Iron Stand Twine and Scissors holder. Love, love, love this piece. Can't you just see this in a neat vignette on the kitchen counter, and you know how we all love to add twine around our books, candles and just about everything. To win just go to my previous post here and follow the simple rules to enter. Easy. Now let's get the party started with what you guys have to share for this week. Thanks so much for hosting, Marty! Great features! I especially love the pie with the crust cut outs! Have a wonderful week! Thanks for hosting Marty! I totally thought the pie cutouts were a piece of art...not a piece of pie LOL! Have a terrific weekend! Thank you so much for hosting, Marty, have a great week! Thanks for hosting Marty. Love the farmhouse features. Thanks for hosting love the features,wish I had a large piece of Lynn's(HappierPigInMud)pie right now. Just linked up, Marty.Thanks so much for hosting! As always Marty, thank you for hosting! Hugs to you too! Thanks for hosting Marty! It's a great party! Love the features, Marty! Thanks so much for hosting! Have a great week! Good choices this week, Marty! We appreciate your hosting every week!! TY so much for hosting and you always features smart ladies and they are royal blooded table players, huh? I so appreciate. Hope you & DH are in the best of everything. See you around and I will be better of hanging with you and your participants. Thanks for hosting, Marty, and sharing the wonderful features. Fabulous features. I'd really like a slice of Lynn's pie right now. It's almost too pretty to eat! Such great features. Each of them so inspiring! Thanks Marty. Great Features Marty, thank you so much for hosting! Wow! I can't get over how lovely your blog is now that you've had a bit of a makeover. The photos showcase so beautifully. Thanks for always being such an Extraordinary hostess Marty! Thanks for your party each week Marty. I appreciate it. Marty, great features this week! Thanks for hosting and I hope you have a wonderful week. Thanks for hosting again this week!Enjoy your evening. are always a source of inspiration @ A Stroll Thru Life!!! It's so nice for me to finally have time to visit blog parties like this. 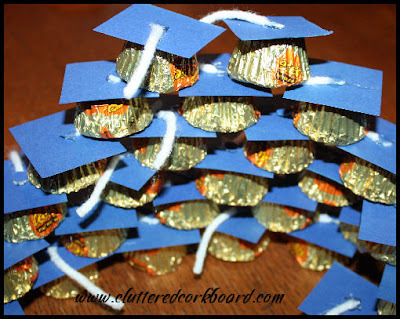 I have gotten some of my favorite ideas from hopping from link to link. Your features are wonderful. How did I miss that pie at Happier than a pig in mud?" I generally stalk that blog. Have a great week, I'm off to explore all the wonderful links! Oh Marty, such fabulous features. I'm swooning with the silver chest!! Thank you so much for the great party, I'm always so happy to come here! Have a terrific week. Great review of some terrific blog posts! I'm late to do so but I wanted to thank you so much for featuring my Easter Sideboard Display a couple weeks back! I'm honoured that you chose it to feature! Thanks for hosting this terrific party - great idea to change the name too when there is so much "inspiration" out there! Marty, you are a wonderful hostess so I have linked up this week! Thank you for hosting! Thanks for hosting another great Party! I enjoyed your features. Now on to the party for some good reading tonight!! What great ideas. I loved all the shabby chic furniture and the gorgeous pie! It looks like it would taste yum. if you had the heart to cut into it! Thank you Marty for always hosting such a wonderful party. Marty, Thanks for always hosting a fun party! It's my first visit to your party. Thanks for having me. Thanks for hosting such an inspiring party! Marty, lovely features...love seeing people using old doors too. Thanks for hosting!! Great features Marty! Thank you for hosting! Love Lynn's pie! 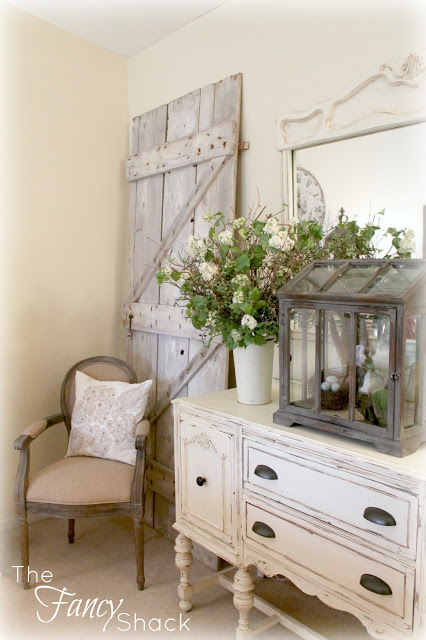 I love that mix of rustic and elegant, too! Not everyone can pull it off. Thanks for hosting a fun party. BTW, I just linked up a tablescape event I attended last weekend. I know how much you like tablescapes! What fun features Marty! Thank you for hosting! I really enjoy your blog. Thanks for the party. Love the great features and party Marty.. Thanks for hosting. Your party does inspire, Marty. Thank you for hosting. Beautiful features, Marty! Thank you so much for hosting! Thank you so much for hosting all the fun and creativity, and I loved the featured pieces! Enjoying the party, thank you for the invitation!